This Position Paper was prepared by members of the Task Force on Global Food Security of the International Society for Plant Pathology. An objective approach is proposed to the assessment of the potential of genetic modification (GM) to reduce the impact of crop diseases. The addition of GM to the plant breeder’s conventional toolbox facilitates gene-by-gene introduction into breeding programmes of well-defined characters, while also allowing access to genes from a greatly extended range of organisms. The current status of GM crops is outlined. GM could make an additional contribution to food security but its potential has been controversial, sometimes because of fixed views that GM is unnatural and risky. These have no factual basis: GM technology, where adopted, is widely regulated and no evidence has been reported of adverse consequences for human health. The potential benefits of GM could be particularly valuable for the developing world but there are numerous constraints. These include cost, inadequate seed supply systems, reluctance to adopt unfamiliar technology, concern about markets, inadequacy of local regulatory systems, mismatch between research and growers’ needs, and limited technical resources. The lower cost of new gene-editing methods should open the practice of GM beyond multinational corporations. As yet there are few examples of utilization of GM-based resistance to plant diseases. Two cases, papaya ringspot virus and banana xanthomonas wilt, are outlined. In the developing world there are many more potential cases whose progress is prevented by the absence of adequate biosafety regulation. It is concluded that there is untapped potential for using GM to introduce disease resistance. An objective approach to mobilizing this potential is recommended, to address the severe impact of plant disease on food security. This Position Paper was prepared by members of the Task Force on Global Food Security (http://www.isppweb.org/foodsecurity_tf.asp) of the International Society for Plant Pathology. 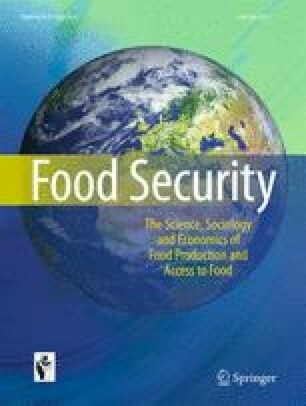 A Position Paper of the Task Force on Global Food Security is a factual summary of the principal aspects of a topic, from the perspective of plant pathology, to present a position from which the merits and drawbacks of particular issues that arise within that topic can be rationally discussed. European Commission (2015). Restrictions of geographical scope of GMO applications/authorisations: Member States demands and outcomes. http://ec.europa.eu/food/plant/gmo/authorisation/cultivation/geographical_scope_en.htm.